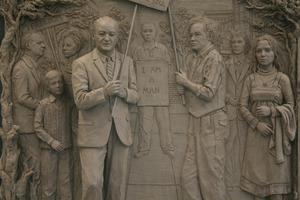 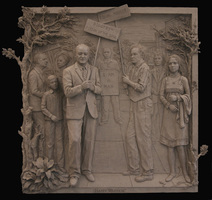 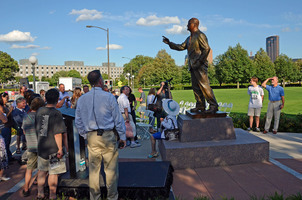 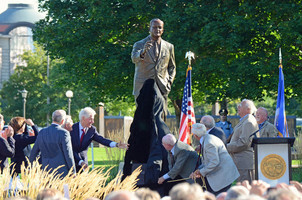 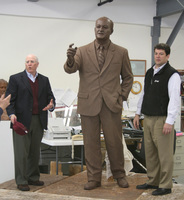 The seven foot sculpture of Hubert Humphrey is shown in the finished clay stage and shown at the unveiling dedication with President Clinton and Vice President Mondale. 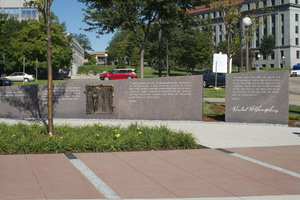 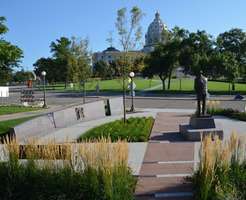 This sculpture is incorporated with the surrounding wall, bas-relief and landscaping design on the State of Minnesota Capitol Grounds in St. Paul. 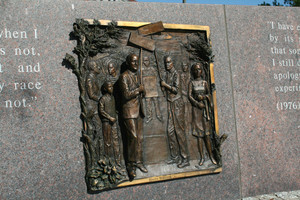 This monument was a nationwide competition.